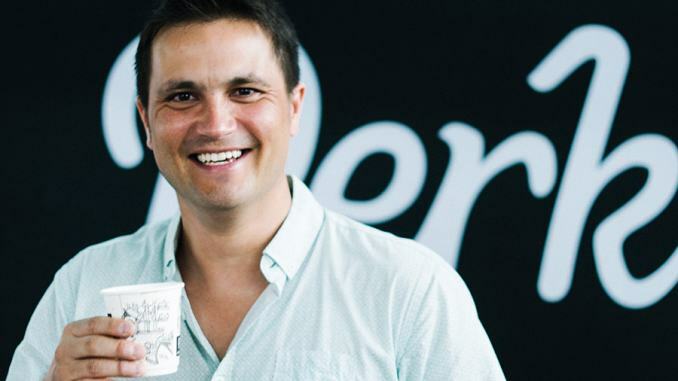 Hailing from Kenya, farmer Paul Berthelsen started Perk Coffee in 2015 after finding a gap in the coffee industry – the lack of fresh, roasted on demand coffee. Perk Coffee offers coffee as a subscription service, sending freshly roasted beans (or ground coffee) to each customer’s doorstep. In search of the finest coffee, Paul moved from Kenya to Big Island in Hawaii with his partner Serena. After settling down in Singapore, the duo started their coffee business incorporating their knowledge from farming in Kenya to create a green and socially responsible business. In this interview, Paul shares with us his experiences in Africa and how he managed to grow Perk Coffee into what it is today. Epoch Times: How and why did you start Perk Coffee? Paul Berthelsen: My coffee journey started in Africa where I lived for 14 years. If you’ve ever tasted coffees from Kenya and Ethiopia, you’ll know why they’re considered some of the best in the world. Being a wheat farmer myself in Kenya, I really identified with the growing part of the coffee process and was always intrigued to see how coffee cherries eventually transformed into these amazing aromatic beans after roasting. In 2015, my wife and I decided to move out of Africa to experience a new adventure. We chose to settle in Singapore because we wanted to be in a dynamic place in the mid- dle of Asia. It wasn’t the easiest time though, as I was accustomed to spending my days in over 10,000 acres of farm land; so, sitting in our 90 square metre apartment every day, trying to figure out what I could build in Singapore, was, at times, challenging. However, within every challenge lies opportunities. During that time, I was actually drinking 3-4 cups of coffee a day. As a coffee enthusiast, I spent a lot of time in search of a good cup of coffee and quality freshly roasted beans. It became a rather expensive, time- consuming, and often disappointing exercise when some of the stores would try to push their stale, over-priced beans. That’s when I decided to build a business to solve my own problem. In August 2015, I started to carve out the plan on how to bring fresh, roasted on demand coffee to individuals in a convenient and flexible way, and then in April I launched Perk. 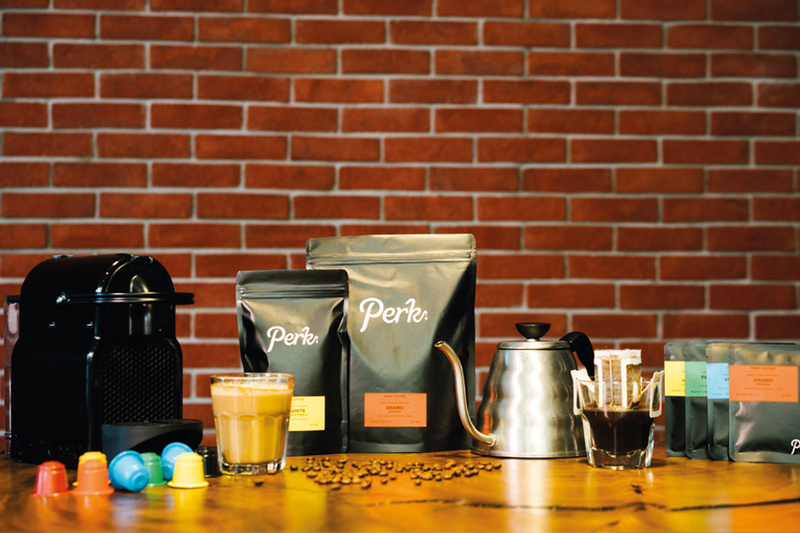 At Perk , beans are roasted weekly in Singapore and sent out within 48 hours of roasting. Epoch Times: Please describe a day in the life of a farmer in Africa. What were some moments that inspired or touched you? Mr Berthelsen: Farming in Africa is both a magical yet challenging experience. I was fortunate enough to secure some of the most scenic and fertile land in Kenya, right on the foothills of the Mau Escarpment, overlook- ing the stunning Rift Valley. Since my farming was all rain fed, my work was determined by the seasons. We planted only one crop per year, so we were extremely busy during planting and harvesting periods. The rest of the time was quite relaxed as we watched the crops grow or prepared the land for the next planting. In the busy season, I would rise early and coordinate the day’s activities. My managers would supervise the preparation of the machines and workers. We would then head out to the fields just after sunrise and get to work. Planting season was hectic and like a race against the rains. We had a window of about 3 – 5 weeks to get all the planting done. There was so much activity going on and many unpredictable factors that were out of my control, such as weather, breakdowns, pests, disease, theft, Kenya’s political situation, just to name a few. Africa taught me to think on my feet and to always be prepared. It also taught me that you can’t control everything in life, and to let go and accept those things you can’t change. I remember in my second year of farming, we had an awesome-looking crop and then I sprayed a mixture that literally burnt the wheat. Over half of the fields turned from a lush green to a bright scorched yellow, and I stood there crying, thinking I’m going to go out of business. My neighbours and landlords assured me that everything would be okay and the crops would recover. Africans are truly stoic people and have an uncanny ability to remain happy and hopeful even in the face of disaster. Their encouragement pulled me through and the crops indeed recovered and we ended up with a pretty good outcome. Again, in 2011 we faced one of the worst droughts in Kenya’s modern history. That ‘African positive outlook in the face of adversity’ had rubbed off onto me by this stage, and truly inspired me to get through one of the most difficult periods of my farming career. I didn’t even harvest 2,000 acres that year and lost a ton of money. But I remained positive and manoeuvred my way out financial trouble by calling on the help of some of my creditors who by that time had become good friends. Today, I still have my farm. My partner runs the day to day activities and we now have 3,000 acres under wheat. Epoch Times: How is the coffee sourced? How does Perk Coffee impact the local farmers that you partner up with? Mr Berthelsen: Currently we buy our green coffees from reputable importers as we don’t yet have the volumes to go direct. We make it a point, however, to deal exclusively with traders who pay above Fairtrade rates and can provide the necessary traceability and evidence of long term and sustainable relationships with coffee farmers. This is particularly important to me, as I know first hand what it’s like to be a farmer. All over the world, farmers are taken advantage of by the many middlemen, leaving them at the bottom of the value chain. By the time products reach the consumer, prices are often marked up hundreds of percent. The farmer has done most of the work, taken on most of the risk, and is often paid peanuts for his sweat and toil. That’s why we deal with companies like Mercanta who have long term, direct relationships with their farmers. Their pricing is transparent and essentially more money gets into the hands of farmers. This in turn enables farmers to invest in their land and implement sustainable farming practices, such as composting, biological and organic solutions to pest and disease control, bio-diversity and wildlife preservation. Many of our farmers also give back to their communities by building schools and community centres that directly benefit their employees and the entire community. Epoch Times: How have you built up your customer base? Any marketing tips for startups? Mr Berthelsen: When I started Perk, I had practically zero experience in the tech and digital space, so it was a steep learning curve. However, I concentrated on what I knew best, and that was to build relationships with my customers. I remember every single one of my first 50 customers. I would share with friends and hustle by attending farmers’ markets and unpaid events, just to get a chance to talk to people and get the word out about my new business. I would then write to each one individually and ask for their feedback. I remember all the bugs and wrinkles we had when we first started out. Sometimes, customers couldn’t get past a certain page on the site, or their coffee delivery was delayed. But I treated every problem as an opportunity to connect and form a relationship. Some of my best customers today are the ones who experienced issues. What I learnt was that customers are human beings and we often forget that. When you’re honest, open, and apologise for something, despite the fact that it may be out of your control, more often than not, people understand. In fact, most people love to support a startup or the underdog, especially if you can involve them in some way and make them feel part of the journey. I remember every single one of my first 50 customers. I would share with friends and hustle by attending farmers’ markets and unpaid events, just to get a chance to talk to people and get the word out about my new business. Epoch Times: What is your opinion on digital tools (e.g. social media, etc.) versus traditional marketing? Mr Berthelsen: The world has certainly changed and there’s no escaping the power of digital platforms. The internet has connected the whole world and businesses need to learn to adapt and make the most of the scalability and reach of the internet. But having said that, it’s become so competitive to cut through and to get your voice heard over the millions of people and products online. We see companies like Amazon now moving into brick and mortar. I think there’s a place for both online and offline marketing strategies, which should ultimately be synergistic and complementary. At Perk, we try to run offline popup events at least twice a month to put a face to our business and meet our customers in person. At the end of the day, our best customers tend to be those we meet in person. Epoch Times: Why do you think subscription models are becoming more popular in Singapore? Do you see the trend taking off? Mr Berthelsen: There was an initial wave of e-commerce subscription businesses that came to Singapore a few years back, but they didn’t seem to find much success. I think the Government’s recent support and initiatives for startups and e-commerce, combined with the public’s increasing use of online grocery and food delivery businesses like Redmart and Deliveroo, have created the ideal environment for subscription-based models to flourish. Customers are now starting to see the value of a subscription model. It’s not just the convenience, but the time and money savings, as well as the specialised quality you can find with companies like Perk. Technology advancement has also enabled us to build powerful features and a flexibility that wasn’t previously available. With Perk, users are able to reschedule their next roast date mid cycle, change frequency, or pause their account at the touch of a button. Also, we don’t lock customers in by charging in advance; instead, we bill only on roast day, which can be scheduled by the customer. Epoch Times: What are your thoughts on Singapore’s retail slump, and/or traditional business models versus modern business models? Mr Berthelsen: The retail slump in Singapore has seriously effected traditional businesses since fixed overheads like rent and labour still need to be paid regardless of sales. But it seems the Government’s support for e-commerce and Singapore’s high adoption and usage rate of online buying in recent years have benefitted the modern, lean e-commerce stores. Warehousing, last mile delivery, and technology costs have gone down as well, which have further aided in spurring online businesses. At Perk, we’ve managed to remain quite lean, operating with a small team and outsourcing a lot of our work. This is a major advantage we have over the traditional business model. Epoch Times: How do you think the coffee industry in Singapore can improve? Mr Berthelsen: The coffee industry in Singapore has grown by leaps and bounds in the last decade. I think it’s a competitive market and there’s some great stuff going on. The annual Coffee Fest is an example of just how vibrant and diverse the industry has become. I think the specialty industry, though, still has a long way to go in educating the public about the finer details, such as quality, traceability, seasonality and sustainability. There’s a knowledge gap that threatens to push people away when they pay $12 for a cup of Gesha and it tastes sour to them. We need to work harder at educating the public about the different grades of coffee and how and why we pay more for certain coffees. 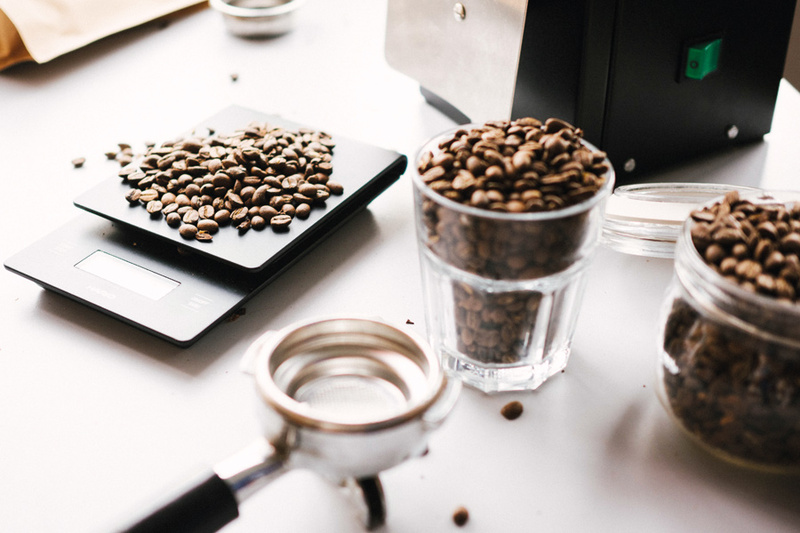 Many baristas don’t know anything about the bean or origin they’re serving, let alone the roast or taste profile, so how can we expect customers to appreciate the coffee? We need to make specialty coffee approachable and engaging by conducting more coffee appreciation events like tasting workshops or roastery tours. I believe this type of interactive engagement will go a long way in bridging that knowledge gap, ultimately enabling the public to truly appreciate the amazing, diverse world of specialty coffee. Epoch Times: What is your plan for Perk in the future? Mr Berthelsen: In the next five years, I see Perk as a leader in the specialty coffee space in this region. My plan is to use quality content and the growing interest in specialty coffee to engage and educate customers. We also aim to stay abreast of changes and innovations in the industry. There’s a lot of new home brewing inventions entering the market now and Singaporeans are generally very quick to adopt. We’re launching our online Brew Shop in the third quarter of this year, which will stock all sorts of interesting coffee equipment and gadgets. I’m optimistic and excited about the future of e-commerce and specialty coffee in Asia. We’re living in exciting times and things are changing rapidly, but one thing’s for sure – coffee is not going out of fashion any time soon! Singapore: Grow Our Own Food, or Perish?